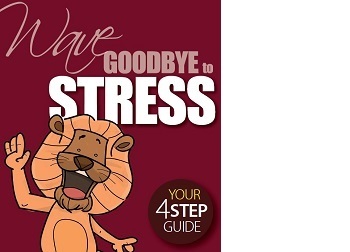 Discover How to Manage Stress Now! 1 A 'stress diary' can be invaluable in understanding your major sources of stress and how often you're experiencing them. 2 Note the positives as well as the negatives, and regularly review what you've learnt about your lifestyle. 3 Try to alter your balance of activities from stress 'producing' to stress 'reducing'. 4 Recognise and acknowledge what you cannot change. Fighting against it will achieve nothing, and will simply increase your stress. 5 How you manage your time is a key factor in how stressful your life will be. 6 Establish your priorities and focus on the essentials. Eliminate time-wasting activities. 7 Take regular breaks away from tasks or situations that are sources of stress and frustration. 8 If you find it difficult to say 'no', assertiveness and time management training can be extremely beneficial. 9 A well balanced diet is crucial in reducing stress. Certain foods and drinks act as powerful stimulants and can be direct causes of stress. 10 Keep the consumption of 'convenience' foods to the minimum, as many contain large amounts of sugar, salt, fat and preservatives. Consuming excessive alcohol will neither solve your problems nor improve your health. 11 Drink at least two litres of water per day, and limit your caffeine intake, as this 'kick starts' the stress reaction. 12 Exercise provides an outlet for negative emotions such as frustration and anger. It's thought that stress poses significantly less danger to the health of people who are physically fit. 13 Choose a form of exercise that you enjoy, rather than one that you think 'will be good for you'. You'll enjoy it more and this will make it easier to stick to. 14 Include a daily period of relaxation in your life. 15 Tension and relaxation are two sides of the same coin - you can't experience both at the same time. You need to learn to turn on the bodily effects of relaxation so that you can turn off the symptoms of tension. 16 Humour gives us a different perspective on our problems. If you can make light of a situation it becomes less threatening. 17 Changing your perspective, positive thinking and self-talk can all help you deal with stress. 18 Slow deep breathing will help to ease the tension in your mind and body. 19 A wide range of 'alternative' therapies are available for the treatment of stress. Different people will find some more effective than others. 20 Allow extra time for commuting + 30 mins. 21 Put 20 minutes "me time" in your diary every day. 22 Compartmentalise home and work activity. 23 Chunk your time into 2 hour blocks. 24 Have one 'arrangement free' weekend every month.